Comments: This bamboo is noted for its green and white striped foliage. This bamboo makes an excellent ground cover but plants should be clipped back every year to rejuvenate new fresh foliage. Because this is a running bamboo plants may have to be contained to control spread. 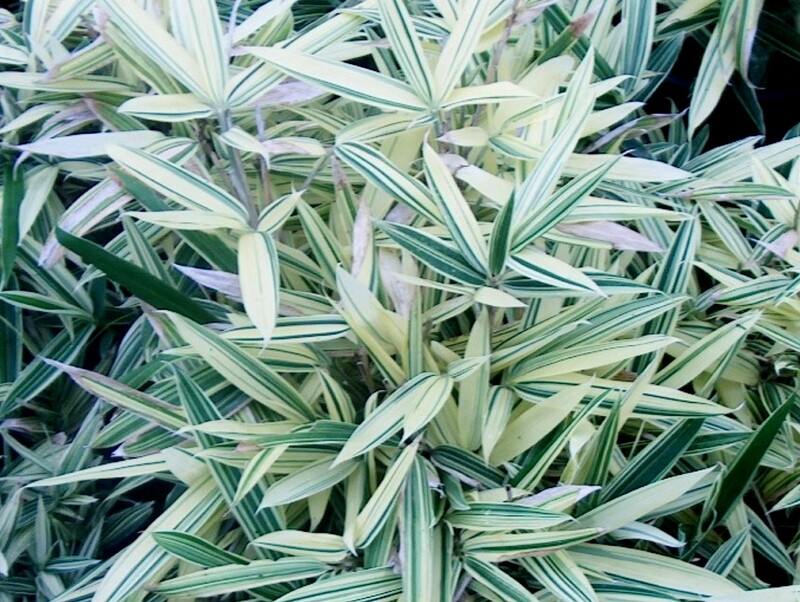 The strong green and white variegated foliage is a special feature of this bamboo.